Not to keep sounding notes of expirational doom, but when a film as brilliant as Memento (2000, reviewed here) is poised to leave Instant in a few short days—even if it's not at the traditional end-of-month—I'm happy to be called a Netflix nag. It's not the only movie worth checking out that will be expiring on August 14 (11:59 P.M., to be exact). Also getting a premature burial are three history-centric titles, not to mention those that vanished mysteriously on August 1 (addressed after the jump). Although taking place in Alexandria in the 4th century A.D., Agora's not really a sword-and-sandals flick (though there are plenty of both). It's more an intelligent study of religious intolerance and the passing of Classical Antiquity into the first flowering of Christianity, featuring an excellent Rachel Weiss as the enlightened pagan-philosopher Hypatia. Director Alejandro Amenabar (Open Your Eyes, The Hours) brings a jaundiced view to the Christian hordes sacking and stoning everything in sight, but it's refreshing to see a period film of this scale not caught up in empty-headed spectacle and obligatory CGI nonsense, and with such a strong female at its center. As usual in such an undertaking, the history tends to get fudged, but that doesn't detract from the overall message or the gist of what actually went down—and what continues to transpire even in our own, apparently enlightened, age. The Oscar-nominated account of the Nazis' final days, told for the first time through German eyes. As Adolf Hitler, Bruno Ganz brings astonishing passion to the beleaguered tyrant hunkering down in his bunker while the Russians pound Berlin into submission. His performance, as well as those of the rest of the sprawling cast, are almost enough to make you feel bad for one of the most evil regimes in recorded history. At the very least you can glimpse the humanity coexisting beside all that evil. But humans, as we know, can be persuaded (especially by a charismatic whackjob) to do some pretty horrible things—and justify themselves every step of the way. If you haven't been too tainted by the countless YouTube parodies of a key scene in the film, then Downfall makes a compelling watch, a rubbernecking at history that offers a new perspective for aficionados of WWII, while providing an unsettling example of sinking-ship cinema for everyone else. 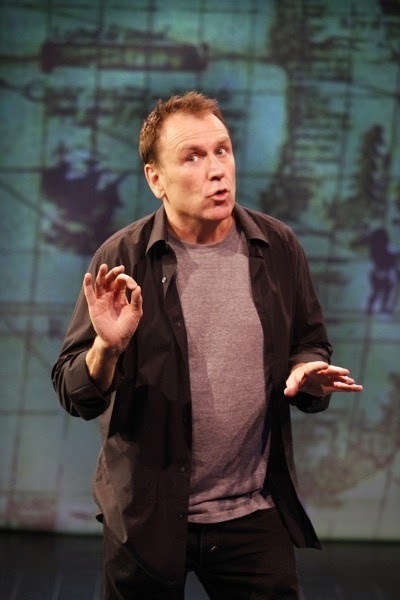 Veteran standup-comic Quinn (who first poked into popular consciousness with MTV's Remote Control, wayyy back in 1987) riffs on history and human nature in this smart and entertaining look at how little we've changed since the earliest civilizations. Using animated maps and imagery to help guide his audience through mankind's recurring foibles, delusions, and arrogance, Quinn shows his exasperation and amusement at humanity's stubborn unwillingness to evolve. The show, originally directed on Broadway by Jerry Seinfeld, brings a uniquely historic, almost academic, spin to the normal standup performance, allowing Quinn to touch on the truly universal (and providing an excellent companion piece to the two films above). Also expiring: The Boondock Saints (1999), which I haven't seen but which definitely has its fans. I did see the documentary, Overnight, which showed the film's writer/director, Troy Duffy, alienating everyone and their mother (and grandmother) in the course of making and releasing his film. He even managed to make Harvey Weinstein look warm and fuzzy—no mean feat. As for Saints, if you're into Willem Dafoe and the world of small-time Boston gangsters, then check it out.